For content that includes music videos. 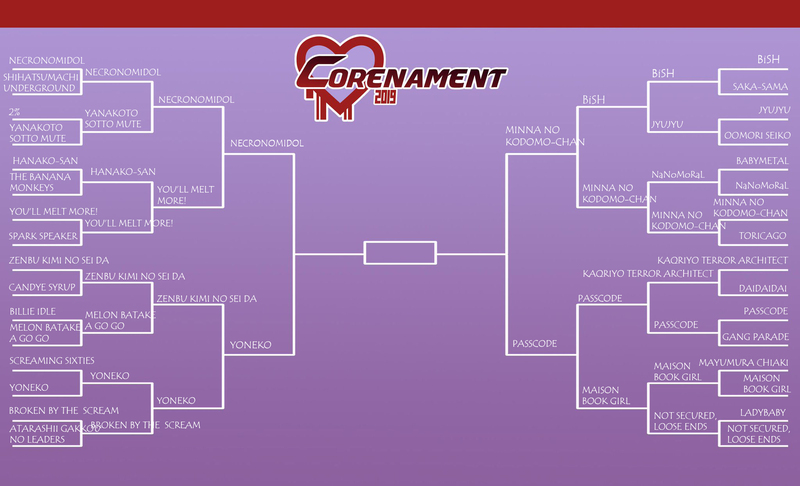 The Corenament Final Four Has Arrived. Hold on to Your Butts. Well, team, we made it. As promised, today begins the Final Four, and what a final four it is — favorites and underdogs and dark horses and other metaphors all meeting to decide who this year’s Corenament champion will be. And we haven’t even had any fanfic yet! Amazing. We truly do live in wild times.